The newest Chandler lake community is Fulton Ranch with a range of contemporary home designs that range from Cachet Homes 1,386 sq.ft. condominiums in Serenity Shores up to custom built luxury waterfront homes in The Island at Fulton Ranch. In between, the other Fulton communities include Aegean Cove, Mediterranean, Gallery, and Caribbean that occupy over 520 acres in south Chandler. Students in Fulton Ranch attend Ira A. Fulton elementary, Bogle Jr. High, and Hamilton High School in the highly rated Chandler school district. The property that is now Fulton Ranch was once owned by the Goodyear Tire and Rubber Company which raised cotton for the fiber necessary for tires. Fulton Ranch is also close to the many semi-conductor industries such as Intel, Microchip Technology, and Freescale Semiconductor which collectively employ over 12,000 workers in the Chandler area. The plans for Fulton Ranch began when Phoenix real estate was charging ahead with no end in sight. There was a Fulton Ranch website where prospective buyers could sign up to receive updates. At one point, there were over 10,000 interested registrants for Fulton Ranch when the demand was at an all time high. When construction and sales began in 2007, the decline in real estate had begun and the buyer demand diminished. The toll was heavy on many new home builders including Fulton Homes who filed for Chapter 11 in January 2009. A stabilization of the market and a focus on more affordable and lower priced floor plans have helped Fulton homes recently. The schools, recreational activities, parks, proximity to employment, and the 202 freeway just 3 miles away gives Fulton Ranch strong marks for it’s location as an upscale residential community. Cachet Homes is the builder of the two Fulton Ranch townhouse / condo communities, Crescent Falls townhouses and Serenity Shores Condominiums. Crescent Falls features three floor plans that range in size from 1,975 – 2,489 sq.ft. while Serenity Shores includes floor plans ranging in size from 1,386 – 1,893 sq.ft. Both communities offer a community pool and spa. The most expensive homes in Fulton Ranch can be found in the heart of Fulton Ranch at The Island. For additional Fulton Ranch community and housing information, feel free to call or e-mail me. Additional home information can be found at Chandler Real Estate. 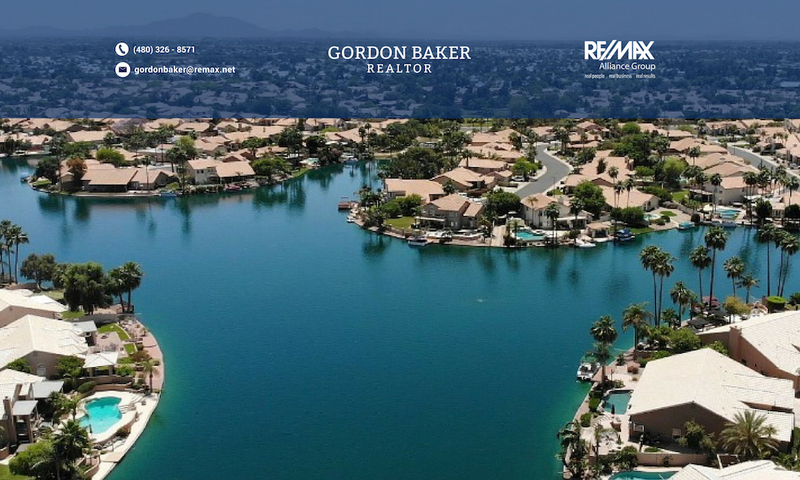 For more Chandler waterfront property and lake community real estate information, click on Phoenix Waterfront Properties. Previous PostPrevious Know This Before You Write A Short Sale Offer!